All fans and people from around the world were shocked by the death of popular actor and inspiring comedian, Robin Williams, on Monday, August 11. 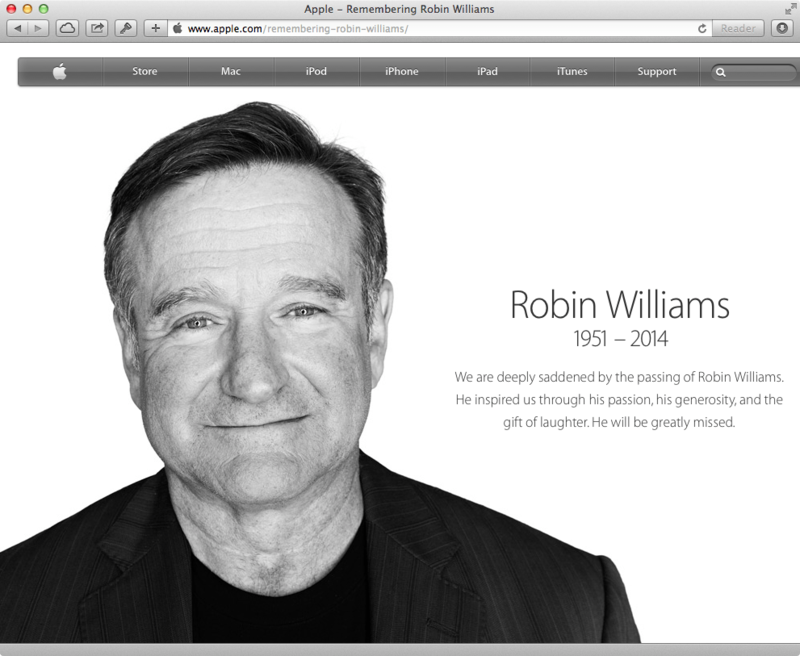 To pay tribute to the actor, Apple has posted a new page on its website titled ‘Remembering Robin Williams‘ expressing their sympathy along with a dedicated iTunes Store section presenting the actor’s popular movies and stand up comedy routines. 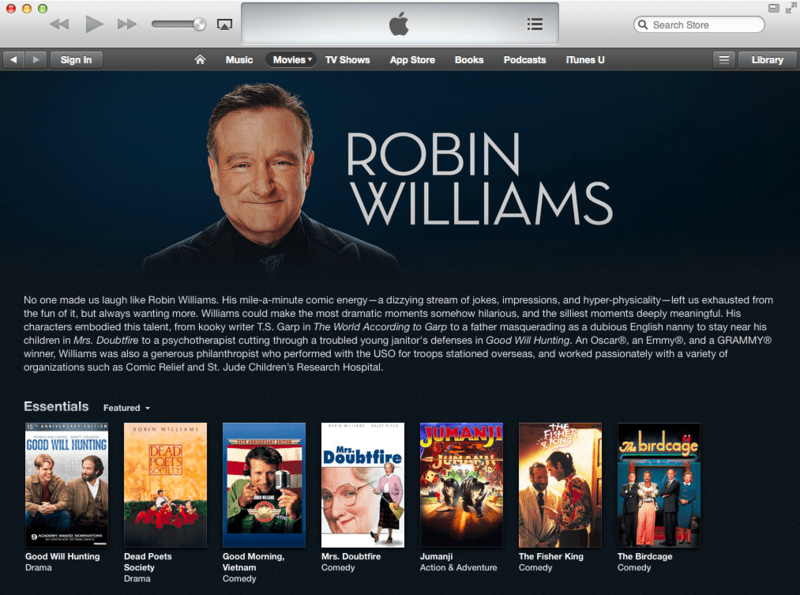 The section lists over 40 movies played by Williams including comedy, drama, action & adventure along with other genres. Among the list is his Oscar-winning Good Will Hunting movie, Dead Poets Society, Jumanji, Mrs. Doubtfire, Good Morning, Vietnam and more. It also displays the actor’s photo along with a short description describing his life-long career and his involvement in Comic Relief USA charity which has raised more than $50 million for homeless assistance. “One of the most beloved and unforgettable performers in the history of show business, Robin Williams brought laughter and inspiration to millions. Throughout a career that spanned five decades, Williams evolved from stand up comedian to international movie star. Among the great masters of improv, he transfixed audiences with a mile-a-minute comic energy. Williams, aged 63, was found dead at his residence in Marin County, California where the Marin County Sheriff’s Office reported that the actor died of asphyxiation caused by hanging himself. Previously, Apple made a similar move and paid tribute to the passing of co-founder Steve Jobs, Nelson Mandela, Rosa Parks and board member Jerry York. Really nice sentiment from Apple.